Hello friends, I am the guy who owns the Dropbox linked up top. I added a notepad to the dropbox. If you are a CYOA author and wish to see your CYOA in the dropbox, the most expedient way would be emailing my new Yahoo! account "Dropboxanon@yahoo.com' with the CYOA. Adding a name either in the subject or body attached to the email would be helpful. A: It's like a cross between an RPG's character creation system and game of "would you rather". A more accurate name would be "Choice Games". Q: What are they for? A: CYOAs are there to spark your imagination, provide escapism, and occasionally act as writing prompts. You'll get ones as simple as picking a special magical soda to drink which gives you a neat perk to live with in life, or complex ones to create your own fantasy domains with a slew of customization options. Some of the more complex CYOAs could be used to generate characters for an RPG. A: Anyone can. You can try to make one yourself, it's not that difficult. Q: Where can I find more CYOAs? A: There are hundreds of them. Start with the archive links at the top; if you know who the author is of the CYOA you're looking for, try their cloud drive first (if they have one). You can request a particular CYOA in the thread, and if you're lucky, someone will give it to you. If you must, you can try /r/makeyourchoice. Q: I want to make a CYOA. How? A: You start with an idea, or crib a setting from your favorite book/game/chinese cartoon. It's usually best to start out small. Keep your big ideas in reserve until you have the skill to actualize them properly. A: You're going to need an image editor or DTP program. Paint or Word will suffice, but better looking CYOAs require better software. Paint.net (www.getpaint.net) is excellent for novices. GIMP (www.gimp.org) is more powerful, but has a steep learning curve. Beware, as Paint.net has particularly dreadful text editing. Scribus (www.scribus.net) is an open-source desktop-publishing software. It has solid text editing and layout functionality, but you'll need an image editor for any fancy graphics. Adobe Photoshop or Illustrator are perhaps the ultimate tools for CYOA creation. They're fairly hard to learn, but they're powerhouses for a reason. The downside is that they're very expensive, although Photoshop CS2 (a very old version of Photoshop) is offered for free (https://helpx.adobe.com/creative-suite/kb/cs2-product-downloads.html). Photoshop Elements is also offered at a much more generous price, but it's essentially a stripped down version of the CS/CC series. Check out SDA's cloud drive for some tutorials on basic Photoshop skills for CYOAs. Q: I need images. Where? A: See the links at the top of this paste for some neat recommendations. There's plenty of image sources out there short of using Google Images. 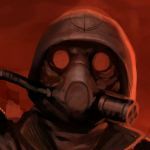 The /tg/ booru (grognard.booru.org) is stuffed with character and setting art of all descriptions, all neatly tagged and sorted. Other popular resources for images are DeviantArt or Pinterest. There's usually a character art thread running on /tg/. You can request stuff there. You can also try /hr/ and /wg/. A: Generally speaking, a standard CYOA should be about 1200px wide. Remember, most screen resolutions don't exceed 1366*768, and many readers browse using mobile devices. Try to aim for a resolution where most users will only have to scroll vertically. PNG is the preferred format for image CYOAs due to it being a "lossless" format (the compression isn't apparent in the image quality). However, for larger and more colourful images, you might want to use the JPG format in order to fit /tg/'s 8mb file limit. Be wary that while JPG files are usually smaller than their PNG counterparts, the compression is much more noticeable in the image itself. /tg/ supports PDFs. You can export PDFs from some programs, or use (http://smallpdf.com/jpg-to-pdf) to convert your images to PDF. Some people dislike PDFs. They have advantages: they're easy to upload, and don't take up a lot of space in the thread. However, they're awkward to scroll through when saved, take a while to load and process, and can cause difficulties for those on mobile devices. Typically, they downgrade the quality of your CYOA by a large amount when used to compress larger CYOAs. I would only recommend using PDFs for lengthly text-based CYOAs, as they aren't meant for fancy imagery. If you want some thematically-appropriate fonts, try (www.dafont.com) and (www.google.com/fonts). Try not to go overboard; only pick really stylized fonts for titles and headers. The number one thing you must maintain in a CYOA is legibility; a basic, clean, and readable font is the best choice for body text. Remember this: Good design will draw people to your CYOA. Good writing, thoughtful choices, and originality will keep them reading. Post your builds. Criticize. Praise. Make good OC. Be excellent to one another. If you want to hang with the cool kids, swing by the IRC. #cyoa on Rizon. Just use a number if you don't want to namefag. A bunch of veteran creators can be found on the IRC, and we're happy to give advice and critique.